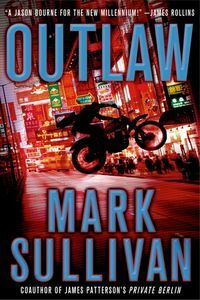 Outlaw by Mark Sullivan: Synopsis and Online Purchase Options. Synopsis (from the publisher): While conducting top-secret negotiations aboard a tanker in the South China Sea, the U.S. Secretary of State and the foreign ministers of China and India are kidnapped, and the tanker they are on is hijacked. The "Sons of Prophecy" take responsibility and issue an ultimatum: If their demands are not met in seven days, the three will be beheaded live on the Internet.